Brazil is a huge country of varying climates and mixed terrains with an extensive coastline and an interior that is dominated by vast swathes of rainforest. Down the centuries, it has seen wave after wave of immigration from all corners of the world, giving it a rich and diverse culinary heritage that makes it a dedicated foodie’s dream. Here are some of the most famous dishes that represent the cooking from different parts of the country that you should look out for on any trip to Brazil. 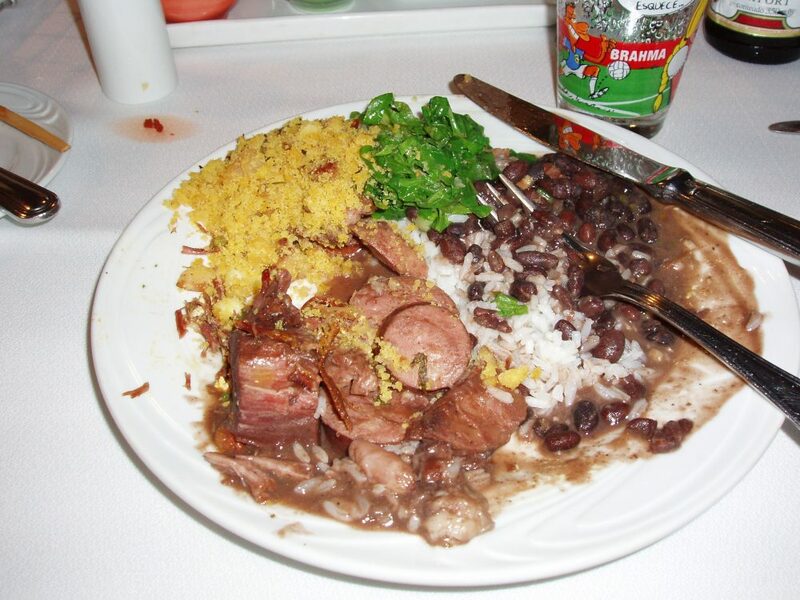 Feijoada has Portuguese origins and can be found in many of Portugal’s former colonial possessions – but in Brazil, it has been elevated to the status of the country’s unofficial national dish. This hearty meal is based on black beans and pork. Traditionally ears, trotters, offal and other cheaper, less desirable parts of the pig were all thrown into the pot and stewed up together for up to 24 hours. Nowadays, most Brazilians don’t cook it themselves, preferring instead to go out to bars and restaurants to eat it. It is normal to order Feijoada on Wednesdays or Saturdays, and the dish is usually accompanied by rice, kale, farofa to soak up the juice and slices of orange for a zesty tang. Brazil is a huge country, and the cuisine is heavily influenced by the climate and the produce that is locally available, but Feijoada is one of the few dishes that can be found just about everywhere. It is most closely associated with the colonial population of Rio de Janeiro where the poorer inhabitants of the city made use of whatever parts of the animal they could afford. If you travel to Brazil and try just one dish, Feijoada is should be the one you choose – or if you have enough time and patience, you could even try making it at home. Perhaps the food most people tend to think of when discussing the specialties of Brazil is barbecued meat, but within Brazil, this style of cuisine originated as part of the gaúcho culture of the south. There, cowboys would gather to butcher a cow, grilling it on skewers over the embers of a fire. The churrascaria – a type of dedicated barbecue restaurant – has since become an integral and renowned part of Brazilian culture. There, chunks of meat are cooked over the fire on metal skewers, and waiters will bring huge cuts of meat to your table and slice them directly onto your plate. The most prized cut of beef is the picanha, the succulent top sirloin cap that is covered with a thick layer of fat and that is unbelievably tender when cooked to perfection by expert churrasqueiros. 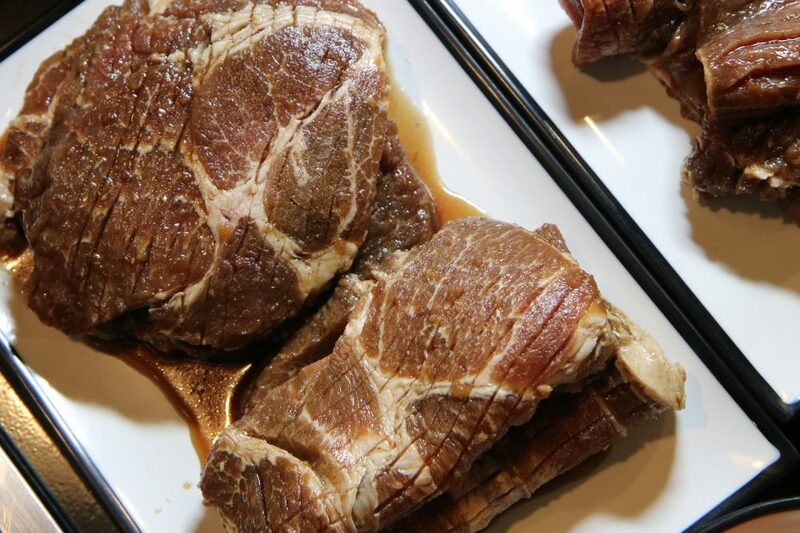 You will also find other types of meat, including pork, lamb and even wild boar. Brazilians also like to barbecue at home, where they cook sausages, “squeaky cheese” and chicken hearts among others. Throughout most of the country, barbecuing is done over charcoal fires – but in the south, the most traditional method using wood is still preferred. 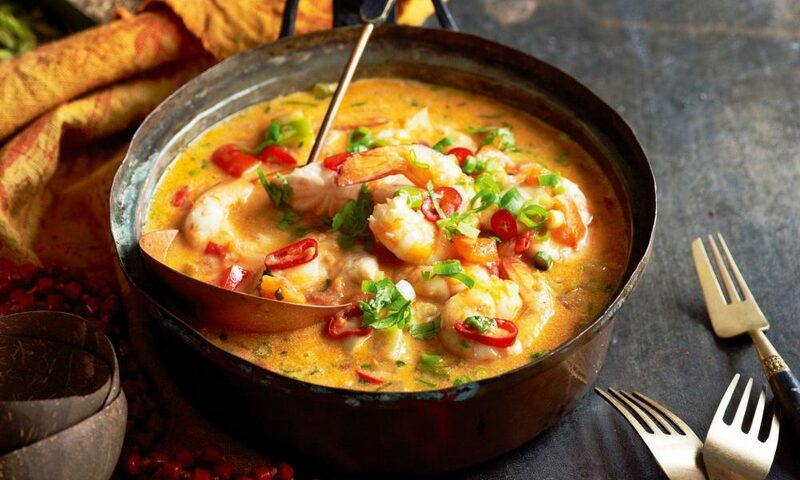 At its most basic, moqueca is a simple but delicious fish stew consisting of tomatoes, onions, garlic and coriander cooked slowly in a heavy clay pot. Other ingredients including seafood like shrimp may also be added. There is some controversy surrounding the origins of this dish, with the Baianos of the northeastern state of Bahia and their southern neighbors, the Capixabas of Espírito Santo, both claiming it as their own. Whatever the truth of where moqueca was first created, both states now have their own unique version. 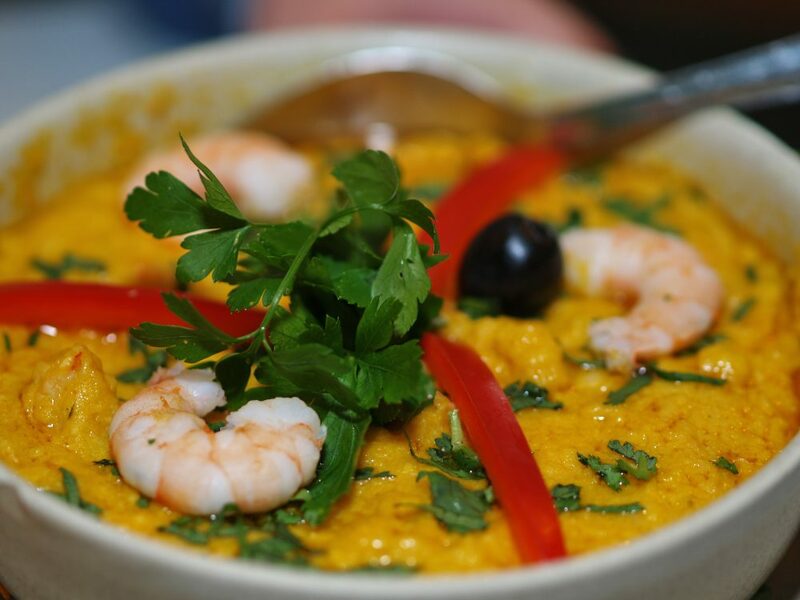 The Baiano recipe is heavier and is made with palm oil, peppers and coconut milk while moqueca capixaba is softer, tenderer and healthier – notably, it is made with olive oil instead of palm oil. The southern version can also include shrimp, crab or lobster and is colored red by the addition of annatto seeds. It is commonly served with rice, farofa (fried tapioca flour) or pirão, a kind of spicy fish porridge. If you ever have the chance to visit either of these states on Brazil’s eastern coast, you should definitely make of point of trying the local take on moqueca, one of the culinary highlights of the region. 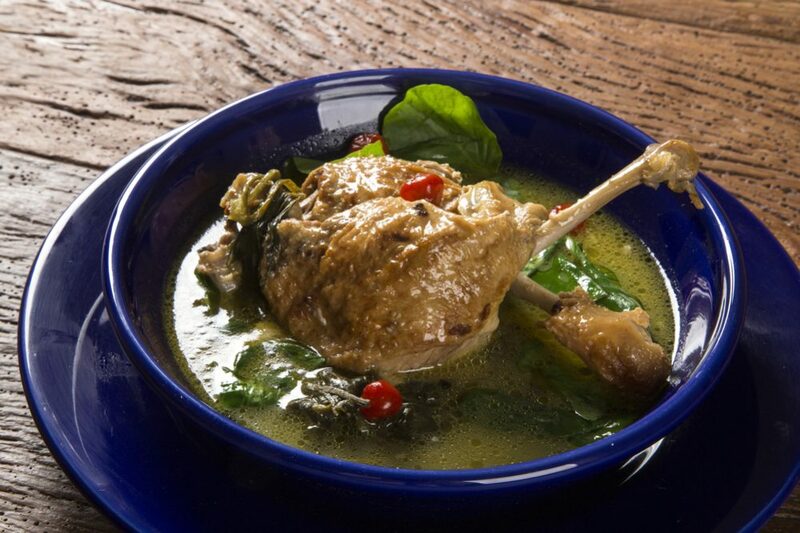 Pato no tucupi – or “duck in tucupi sauce” – is a traditional dish from the large northern state of Pará and is associated particularly with the city of Bélem, where it is considered one of the region’s most iconic dishes. It is a typical example of the type of cooking that makes use of local products available from the Amazon jungle. The duck is cooked in tucupi sauce, a yellow sauce that is obtained by fermenting wild manioc root from the forest. 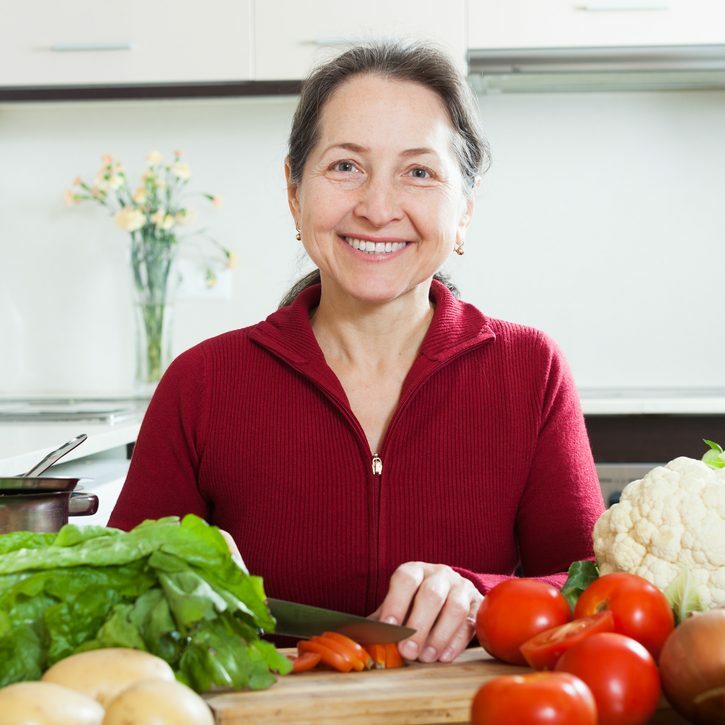 However, the juice from the root is poisonous when raw and must be boiled for around three to five days before it can be eaten. This delicious and highly distinctive dish also includes local ingredients such as jambu and chicória, and it is not something you are likely to find easily elsewhere. This means if you want to taste real, authentic pato no tucupi, your best option is to travel to Bélem – and if you do find yourself passing through that part of the world, don’t pass up on the chance to sample it. The name of this tasty snack literally translates as “cheese bread” – but anyone who has tried it will tell you that it’s so much more than the name alone would have you believe. 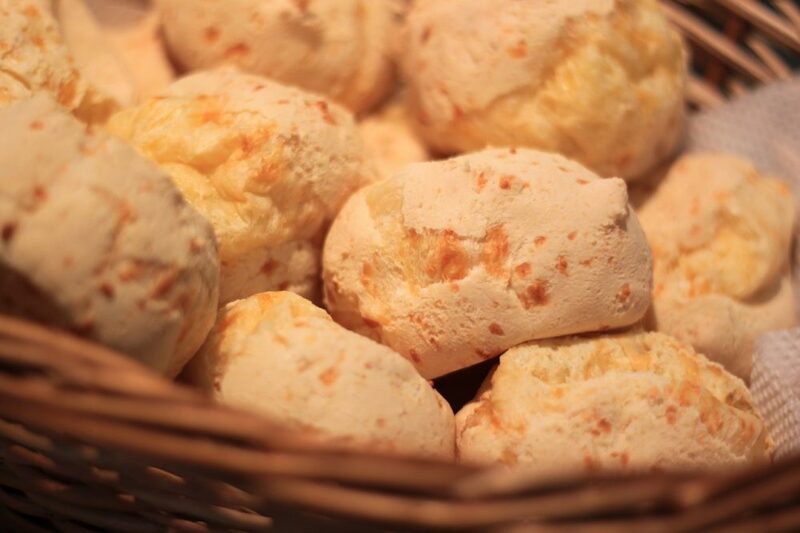 These irresistible bread balls are made from tapioca flour, egg and soft cheese – traditionally curado minas, a local cheese from the Minas Gerais region where pão de queijo comes from. By combining these three simple ingredients, you obtain a gluten-free bread that is delightfully crispy on the outside but satisfyingly chewy on the inside. They can be prepared and enjoyed at any time of day, but they are most often eaten at breakfast, when they are served hot and steaming direct from the oven. You can break them open and stuff them with more cheese – or as some people like to do, add jam for extra flavor. Not all local treats need to be elaborately prepared or complicated to make – and pão de queijo shows how by using just basic and readily-available ingredients, it is possible to create a delicious comfort food that can be enjoyed by all. One of Brazil’s most famous and beloved street foods is the delicious coxinha, deep-fried croquettes that originated in the city of Rio de Janeiro or perhaps São Paulo. They are made using wheat flour dough and a filling that usually consists of chicken, onions, parsley and scallions. Tomatoes, turmeric and catupiry cheese are occasionally thrown in too. Once the filling is rolled up in the ball of dough, they are battered, covered in breadcrumbs and deep-fried. The result can seem a little strange at first, but most people find that once they try, they can become quite addictive – even if it’s not so great for your line! They are usually similar in size and shape to a pear – this is because traditionally they contained a whole chicken thigh, although shredded, spiced chicken is now also used. 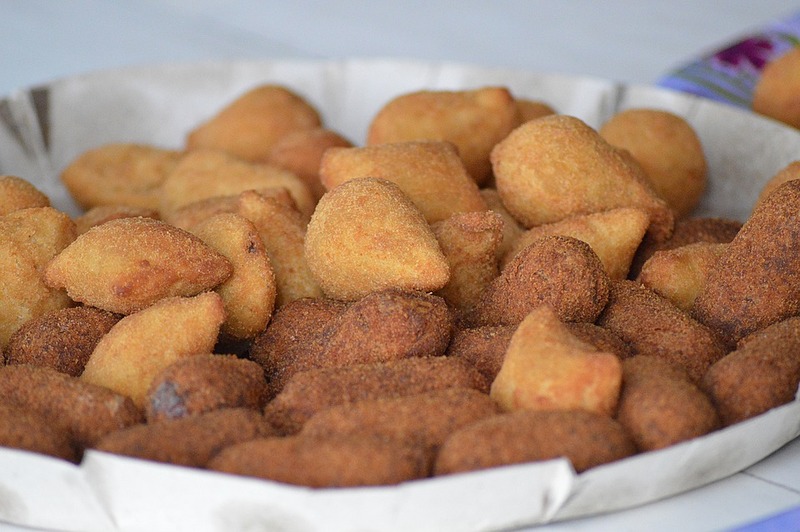 Sometimes the cuisine of a country is defined just as much by the cheap snacks that can be found on street corners as by the fare served up in its more refined restaurants, and with coxinhas, this is certainly the case. If you travel to Brazil, this cheap and delicious street treat is one to look out for – but it’s also not too difficult to attempt at home. 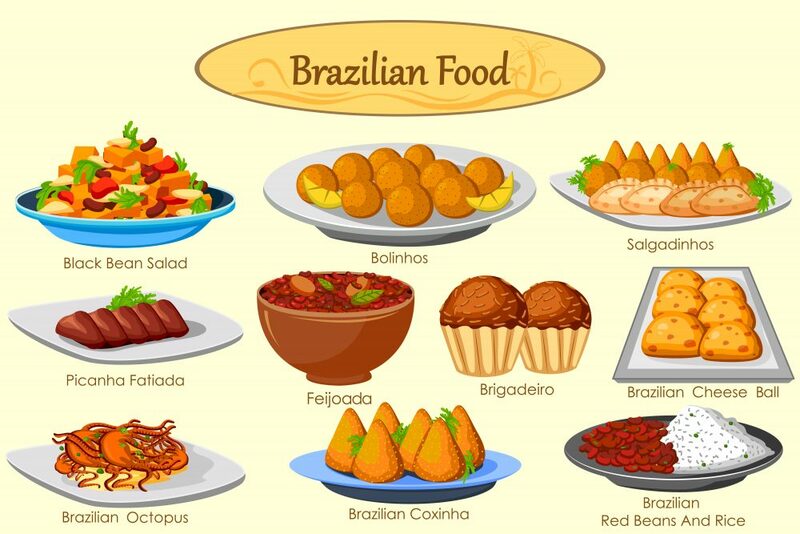 Brazilian cuisine is famous for the mix of influences it has incorporated, including places as disparate as Portugal and Japan, along with the foods of the local indigenous populations. With acarajé, a type of fritter made from black-eyed peas and deep-fried in palm oil, we can also detect the influence of African cooking on the country’s culinary heritage. 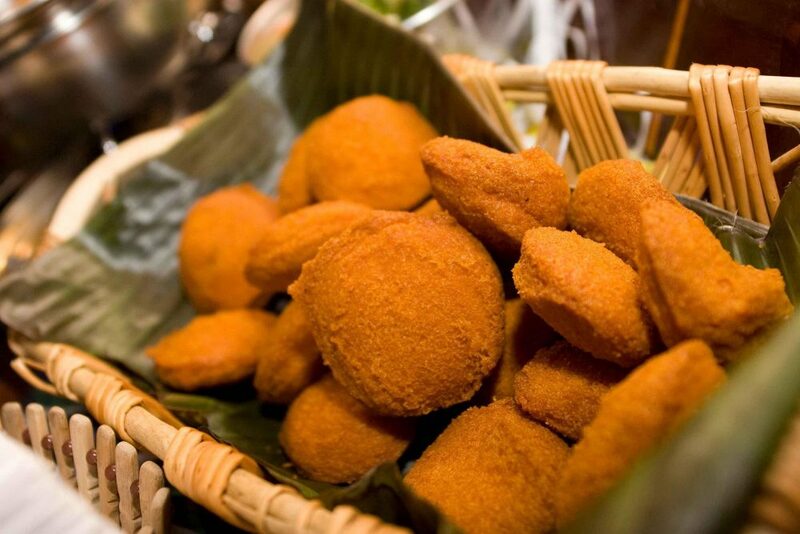 Acarajé is most closely associated with the north-eastern state of Bahia, where they are sold as a common type of street food and stuffed with various fillings – but they can also be found as far away as the street food stalls of São Paolo in the south. Acarajé can be eaten with a variety of different fillings, but the most traditional and most popular is vatapá – see below for more on this. They usually come with a liberal helping of chili sauce too, so be prepared for a kick! Vatapá, a favorite filling for acarajé, is a thick stew-like mixture of bread, shrimp, ground peanuts, coconut milk, palm oil, herbs and spices. Like acarajé, vatapá is most commonly eaten in the north and northeast of the country, and like acarajé, it belongs to the African-influenced cuisine of Brazil. The best-known version of vatapá comes from Salvador Bahia, but it is also known in places such as Pará and Amapá, where the recipe has been adapted according to the locally available ingredients. Although most commonly eaten with acarajé in Bahia, in other areas it is used as an accompaniment for a range of foods, most commonly white rice. Vatapá was introduced to Brazil by the Yoruba people, who arrived on the slave ships from Africa in around the 16th century. There is perhaps nothing that demonstrates former colonial ruler Portugal’s influence on the cuisine of Brazil than bacalhau – salted cod – something that also remains an integral part of the Portuguese diet to this day. Back in the days before refrigeration, salting and drying was a popular and convenient way to preserve fish and meat, and when Europeans arrived in the New World, they brought this technique with them. With such an extensive coastline, it is no surprise that food from the sea continues to be an important component of the diet of the eastern part of Brazil, and bacalhau is one of the most popular types of fish. Bacalhau is usually baked with olives, onions, potatoes and tomatoes, served drizzled with olive oil and accompanied with white rice. It can also be made into fish balls which are then deep-fried to produce a convenient and delicious snack. 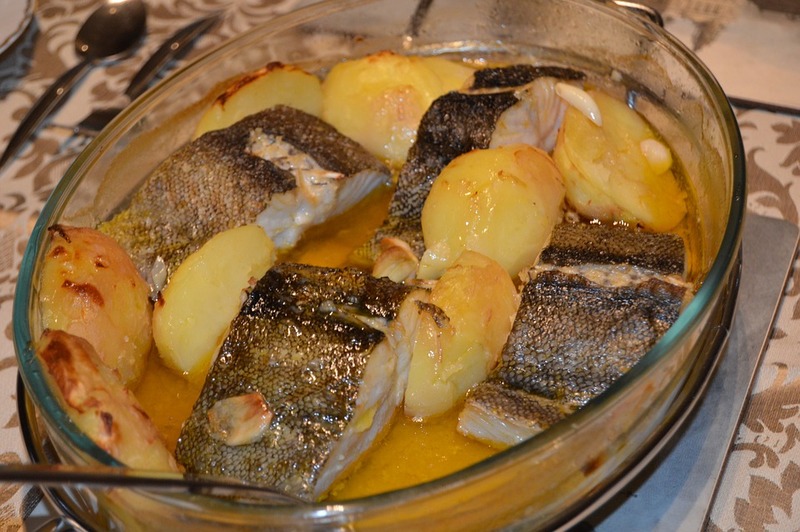 Bacalhau takes time and effort to prepare. The rehydration process that requires soaking over the course of a day and several changes of water means that bacalhau is most commonly consumed during feasts and for special occasions. Of course, we can’t talk about the food of Brazil without mentioning at least one of the many desserts and other sweet snacks that are prepared and enjoyed up and down the country. We could include quindim, a dessert made from eggs, sugar and coconut that comes from Bahia state, or we could talk about beijinho de coco, tiny bite-sized coconut treats – the name means “little kiss of coconut”. 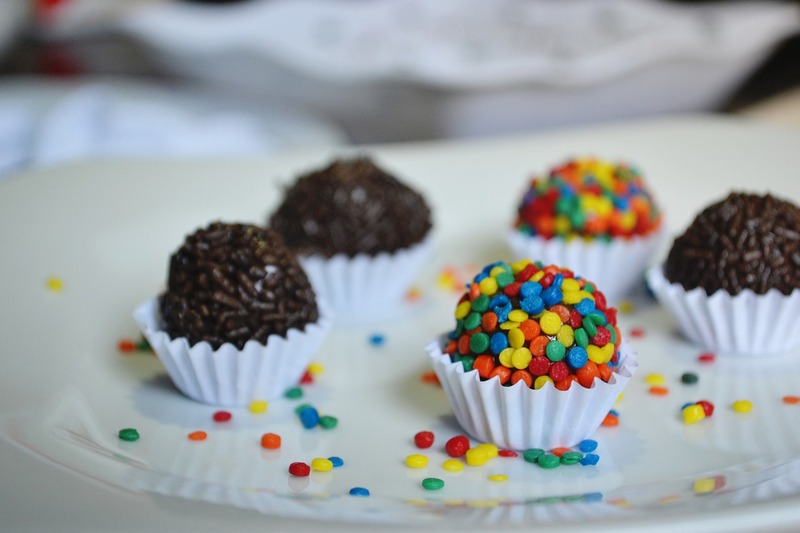 However, the dessert we have chosen for our list is brigadeiros, incredibly simple but utterly delicious bites of chocolate. They are made by simmering condensed milk mixed with cocoa, whisking it in butter and then rolling the paste into balls. The result is what could be described as the Brazilian take on chocolate truffles, and if you have a sweet tooth, you’re sure to love them. They are named after a famous politician of the 1940s, Brigadier Eduardo Gomes; they became popular at the time of the Second World War when fresh ingredients were difficult to come by and people had to make do with what they had. This also accounts for their enduring appeal since they can be made quickly and easily with just a few ingredients found at the back of most people’s cupboards. They are often served as a treat at children’s parties – but many adults love them just as much! And then of course if you want something to drink in Brazil, it should be the caipirinha, the country’s most famous cocktail. 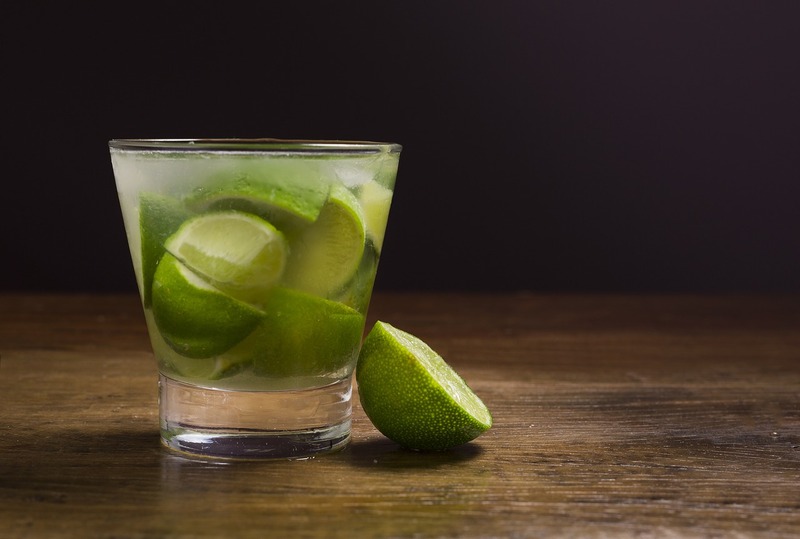 Made from cachaça, sugar and lime, it is the perfect drink to accompany any of the other food on our list. In Brazil, the cooking styles of Europeans, Africans and Asians, as well as the native inhabitants of the country, have been mixed together to create something entirely new and unique. Based on locally-available ingredients and the result of centuries of immigration, Brazilian cuisine is an exciting and distinctive blend of tastes that can be found nowhere else. thank you for sharing your information..My husband and I are thinking about spending a month or so down there this coming winter… any thoughs on were to stay…? ?